This isn't a surprise to those who know me but I love all things fall and pumpkin. I would have a pumpkin spiced latte every day if they had them all year round. And with it being Fall it just puts me in the mood to crochet. 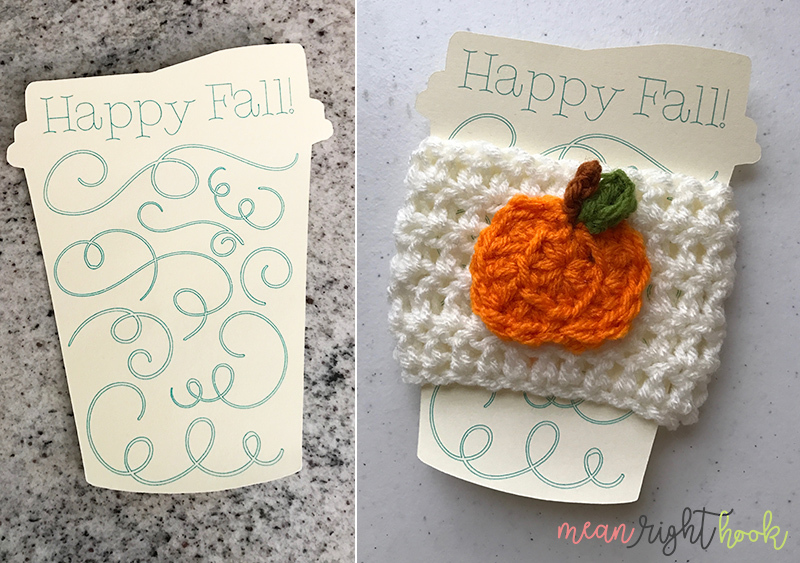 A few of my friends also have a love of coffee and pumpkins so I made one for everyone and I cut out a little cuff card with my Cricut Explore. These are so easy and addictive to make. I might have to make different cuffs for every season.